A seamless 3D Fit Print upper gives the soft hug we all look for, while the U-Groove heel allows the foot to move freely on impact. A wishbone transition encourages the foot to move quickly to the blown rubber forefoot and spring back up. 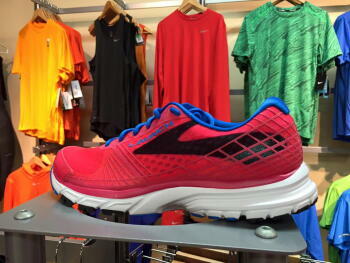 This is the lightweight trainer that feels closest to our more traditional shoes. This shoe has a 10mm heel-to-toe drop.